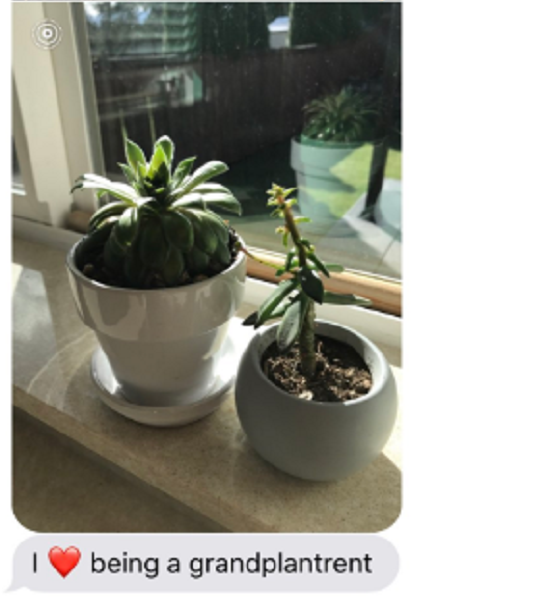 Mom Asked To Watch Plants Dubs Herself "Grandplantrent" & The Pics Are Hysterical. Some parents really know how to give their kids a subtle hint or two. 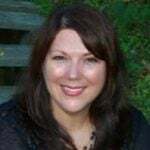 Regan Speyer’s mom is not one of those parents. 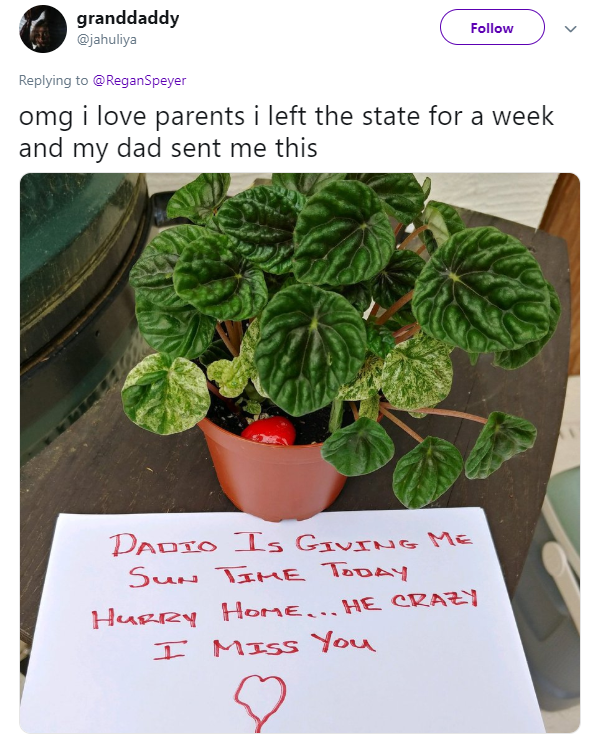 In a recent Twitter post by Regan, who hails from Calgary, Alberta, Canada, she shared the funny way that her mom dropped a few hints that were about as subtle as a ton of bricks. All Regan asked for was a simple favor: Please open the blinds for my plants while I’m away. Instead, Mom took things to a whole new level. 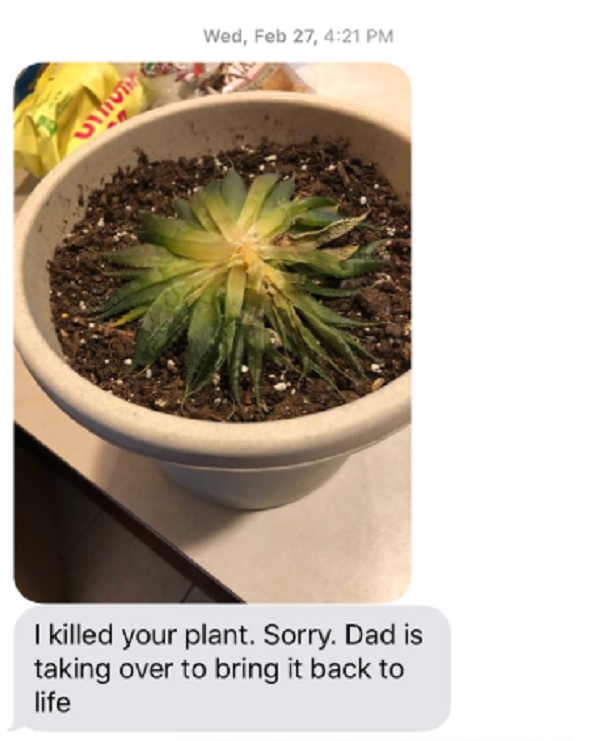 Regan’s mom responded to her simple request with a series of hilarious photos and text messages showing just how seriously she takes her “grandplantrent” duties. 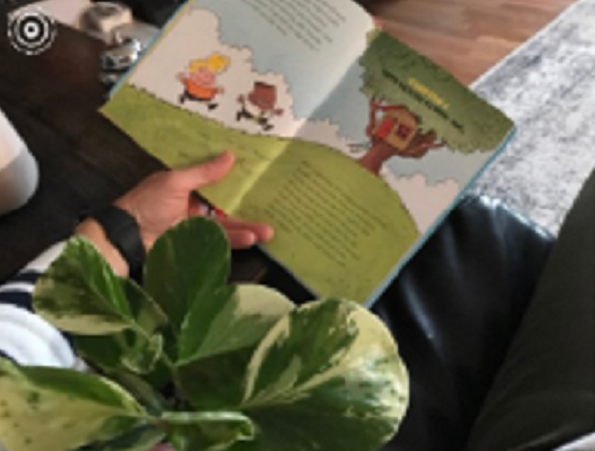 Like any doting grandplantrent, Mom took the plants for a little stroll in the park, read them a few stories, and even let them have some screen time (but not too much!). She even sent Regan a short video of her plants going down a slide at the park! If this isn’t a hint about wanting to switch caring for real grandkids, we don’t know what is. 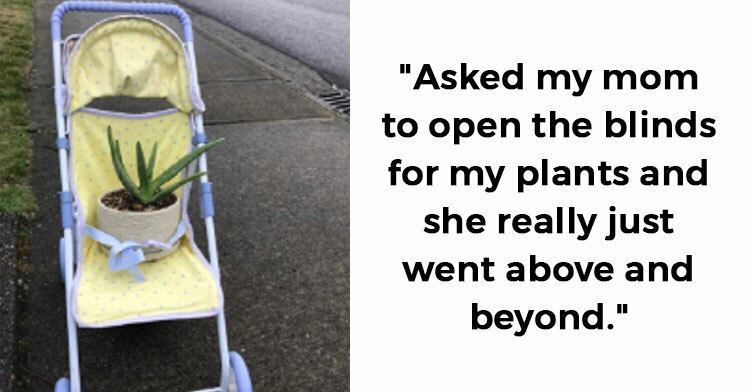 Others shared similar stories about how their parents took their plant duties seriously, too. Others had, shall we say, a different experience… Turns out not all people are cut out to be grandplantrents! This is so adorable! We love it when parents pass a great sense of humor down to their kids, and that’s clearly the case with Regan and her mom. Regan’s mom saw a chance to be goofy and have a little harmless fun while still dropping hints. We like her style! Please share this story with others to bring a smile to their faces.